Committed to proactive and mutually beneficial dialogue with the club and other stakeholders including the local community, local council, relevant media and other supporters groups. Work in partnership with existing supporters groups, websites, fanzine, podcasts etc. without detracting from their independence. Create an effective membership communications platform. To have an elected supporters representative on the board of Chelsea Football Club (a very long-term objective). 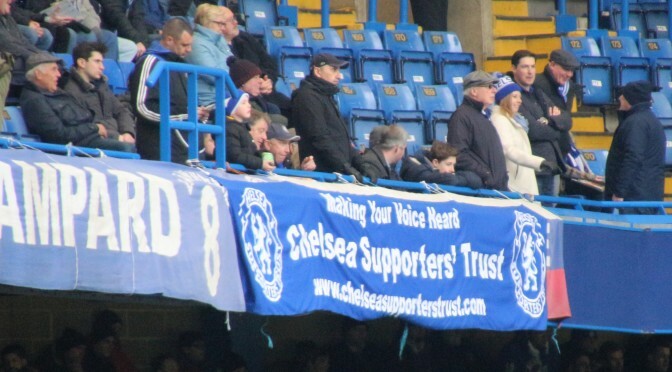 We welcome input from Chelsea Supporters ‘wherever you may be’ so come to the meetings or contact us directly to let us know what we can do on your behalf. Sign Up New Members – Make Their Voice Heard Too! or direct them to the membership page here.